I am about to set sail on a new venture with my next official whistle stop. This year has been plenty full of whistle stops and I plan on continuing. You can read (in full) about previous whistle stops and why they are called whistle stops here. Suffice it to say at this point that it all started with a comment about a sailing train a few months back. Time to sink or sail, so to speak. SQL Saturday 233 in Washington DC will mark the premier of what I hope to be a repeat performance – many times. I will be tag-teaming with Wayne Sheffield in our first all day pre-con event. The session is one of three all day sessions for the event in Chevy Chase, MD. If you are a DBA or a database developer, this session is for you. If you are managing a database and are experiencing performance issues, this session is a must. 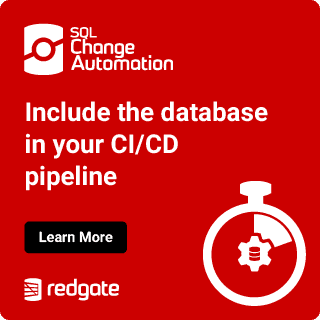 We will chat with attendees about a horde of performance killers and other critical issues we have seen in our years working with SQL Server. In short, some of these issues are pure murder on your database, DBA, developer and team in general. We will work through many of these things and show some methods to achieve a higher state of database Zen. Join Microsoft Certified Masters, Wayne Sheffield and Jason Brimhall, as they examine numerous crazy implementations they have seen over the years, and how these implementations can be murder on SQL Server. No topic is off limits as they cover the effects of these crazy implementations from performance to security, and how the “Default Blame Acceptors” (DBAs) can use alternatives to keep the developers, DBAs, bosses and even the end-users happy. Jason Brimhall has 10+ yrs experience and has worked with SQL Server from 6.5 through SQL 2012. He has experience in performance tuning, high transaction environments, as well as large environments. Jason also has 18 years experience in IT working with the hardware, OS, network and even the plunger (ask him sometime about that). He is currently a Consultant and a Microsoft Certified Master(MCM). Jason is the VP of the Las Vegas User Group (SSSOLV). There will be a nice mix of real world examples and some painfully contrived examples. All will have a good and useful point. If you will be in the area, and you are looking for high quality content with a good mix of enjoyment, come and join us by registering at this eventbrite site. There are only 30 seats available for this murder mystery theater. Reserve yours now. Between now and November 8th, the registration is discounted to $99 (plus transaction fees). Use this code for the discount: SQLSATDC. I present regularly at SQL Saturdays. Wayne also presents regularly at SQL Saturdays. If you are organizing an event and would like to fill some pre-con sessions, please contact either Wayne, myself or both of us for this session.